It was late last year that The Undertaker suddenly removed several references to WWE from all of his social media accounts and begun to take on some appearances outside of WWE, where he would not be directly representing the company. The Undertaker was first announced to be participating in a tour of the UK in May with the leading UK Q&A tour company with wrestlers, Inside the Ropes. Taker was to take part in a meet and greet with fans and do an hour + long Q&A session. Taker was then announced to be appearing at the first annual Monopoly Events convention 'For The Love of Wrestling', that will take place in Liverpool, England on April 27 and 28. The 'Phenom' was then announced for the Starrcast II convention taking place on the same weekend and location as All Elite Wrestling's Double or Nothing pay-per-view debut. The Undertaker's appearance was said to have caught the attention of Vince McMahon, who wasn't pleased. Dave Meltzer has since reported that The Undertaker has pushed hard to keep his three upcoming appearances, but due to his new contract, will not be taking anymore appearances outside of WWE. The Undertaker's Q&A portions of his appearances have all been nixed due to his new deal, but did manage to maintain his meet and greet autograph and photo shoot opportunities with the fans. While The Undertaker's Q&A session had to be pulled from the event, Mr. Kleek is still overjoyed to have maintained The Undertaker's last ever UK/European appearance and to even have managed to book him for both days of his event, when The Undertaker had only been originally available for one day. The Undertaker will be appearing all weekend long at Monopoly Events For The Love of Wrestling at the Exhibition Centre in Liverpool. The Undertaker will charge £150.00 per photo, £150.00 per standard autograph and £200.00 per Premium item. The Undertaker will then appear in Manchester, London and Glasgow, Scotland, with Inside The Ropes on April 29, 30 and May 1, but the Q&A session of their shows will now be occupied by WWE Hall of Famer Mick Foley. The Undertaker will also still be appearing at Starrcast II later in May in Las Vegas. The Undertaker will still be making these kinds of appearances in the future, but they will all be under the WWE banner and at WWE exclusive events such as WWE Axxess during the WrestleMania weekends. These may very well be your only ever opportunity to meet and greet The Undertaker in the UK. 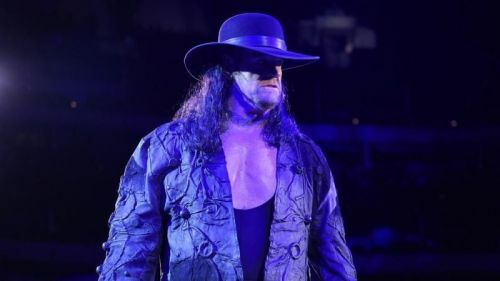 WWE Rumors: The Undertaker no longer with WWE? WWE/Pro Wrestling News: The Undertaker potentially starting a podcast?